There is nothing quite like the experience of watching professional sports fighting, especially in the flesh. While it’s possible to feel the excitement while watching a televised bout, especially in a bar or at home with other fight fans, nothing beats a ringside seat, or even the view from high up in a massive arena alongside thousands of other enthusiasts. 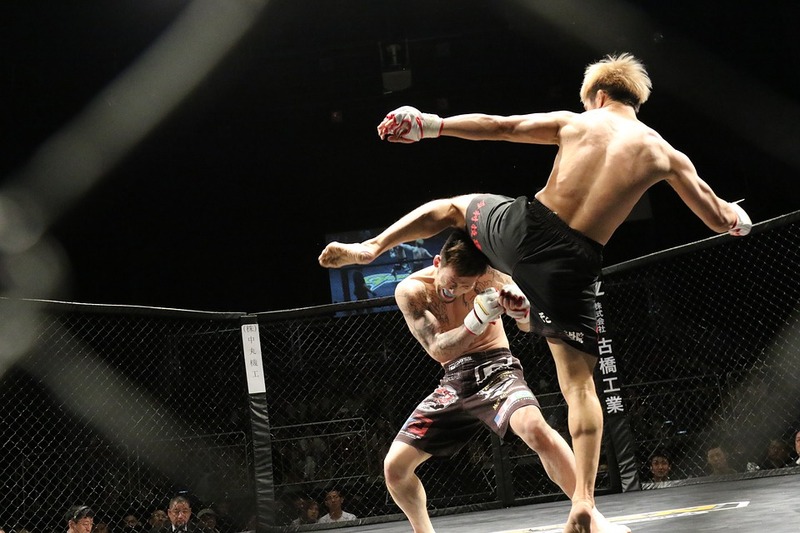 Both boxing and mixed martial arts (MMA) events have a quality for spectators that is unmatched by any other sports. That isn’t to take anything away from football, baseball or any other great American pastime, but watching a live fight taps into something ancient and primal in the observer. Critics of the noble arts might call that special something bloodlust, but no true fight fan wants to see either contestant seriously hurt. Still, it’s true that watching two men (or even women) pitting everything they’ve got against each other in a controlled but undeniably violent confrontation can be monumentally thrilling and also cathartic. Becoming emotionally engaged with a live arena fight allows us to work out our own pent-up frustrations and anger through the medium of the boxers in the ring- or indeed the MMA fighters in the octagon cage. It’s a healthy outlet for those natural emotions. And while professional fighting is undeniably violent, that is only part of the attraction. A good fight is a display of skill. There is elegance, discipline, control and even a beauty to boxing, as well as the full gamut of drama and human emotion. A boxing match is theatre as well as sport, but it has the edge over professional wrestling because it is entirely for real. This also applies to the MMA fights under the Ultimate Fighting Championship (UFC) brand. MMA has always been highly controversial, and many states banned it outright in the 1990s. However, the arrival of the UFC introduced a number of safety rules, including different weight categories, and began to make MMA respectable, while still retaining all the qualities that make this no-holds-barred fighting sport so exciting. The result was a resurgence of interest in the 2000s, with New York becoming the last state to legalize it in March 2016. With UFC events often outselling boxing and wrestling on pay-per-view it was clear the sport was hugely popular. Mainstream media and TV gradually began covering MMA and in November 2017 a UFC fight sold out Madison Square Gardens for the first time. The adrenalin rush of watching an impassioned hand-to-hand struggle between trained men with everything to play for, and where anything can happen, is unbeatable, and the urge to do so is as old as any of our other essential emotions and instincts. Going to see a fight live is one way to get more involved, where you can be caught up in the heady atmosphere of the arena, with all of its smells, sounds and surges, in a way that can never truly be captured on TV. Another way to heighten your sense of involvement is to place a bet on one of the fighters. Whether you’re following boxing or UFC, placing a bet at Stakers.com will give you a personal stake in the match so that you’ll be rooting for your man throughout the bout. There’s nothing like having something riding on the outcome to guarantee a feeling of being part of the action. Last August saw the worlds of UFC and boxing come together as UFC’s Conor McGregor took on Floyd Mayweather for a big money fight that thrilled millions of viewers around the world. Other major boxing events of 2017 included Canelo Alvarez vs. Gennady Golovkin at Las Vegas, a thrilling middleweight championship contest that ended in a draw but provided top-notch action and exemplary performances all the way. For human drama and strong characters, it was hard to beat December’s meeting of Miguel Roman and Orlando Salido in Vegas. The heavyweight bout between Anthony Joshua and Wladimir Klitschko meanwhile drew a record-breaking 90,000 fans to London’s Wembley Stadium to watch Joshua score a knockout victory after 11 breathtaking rounds. Both boxing and UFC have seen a huge popular resurgence over the last few years. The fans have always known the thrill of the fight of course, but now it seems that media and TV have rediscovered their fascination with the sports and are once more bringing them to a wider audience. The eternal appeal of watching a live arena fight is in turn being reignited in a new generation, who will doubtless cheer on the fighters just as many generations have done before them.